We Sisters of Annunciation Monastery in Bismarck, ND, are preparing to host Sister delegates and others from all of our member monasteries at our triennial Federation Chapter meeting this July! 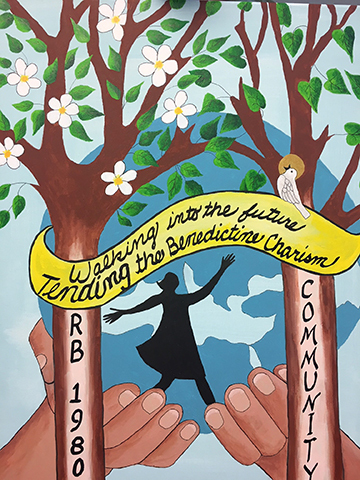 Sister Nancy Gunderson (Bismarck) created this beautiful image for us to reflect on as we discuss and think about our theme: Walking into the Future: Tending the Benedictine Charism. We can’t wait to see everyone!